Second concept sample of second helmet I went and make variants of. Unlike the previous one, this is designed to be a helmet and there are no biomask variant for this. I added little detail on it's second variant to have something one it just in case I wanna' add something. 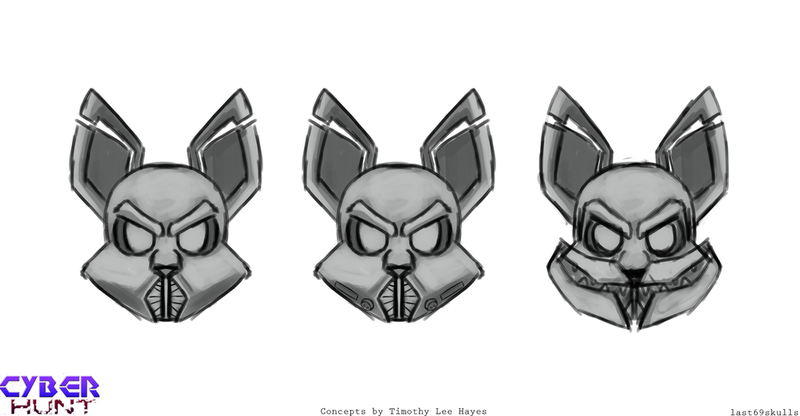 And, finally, the third concept for this has adds armor pieces on the mouth part. It makes it look like a crab for some reason. I did not intent it to have a smile. Also, this variants' ear pieces are different and I want it to be stylised differently in every helmet.